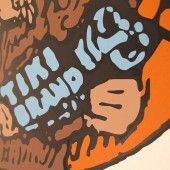 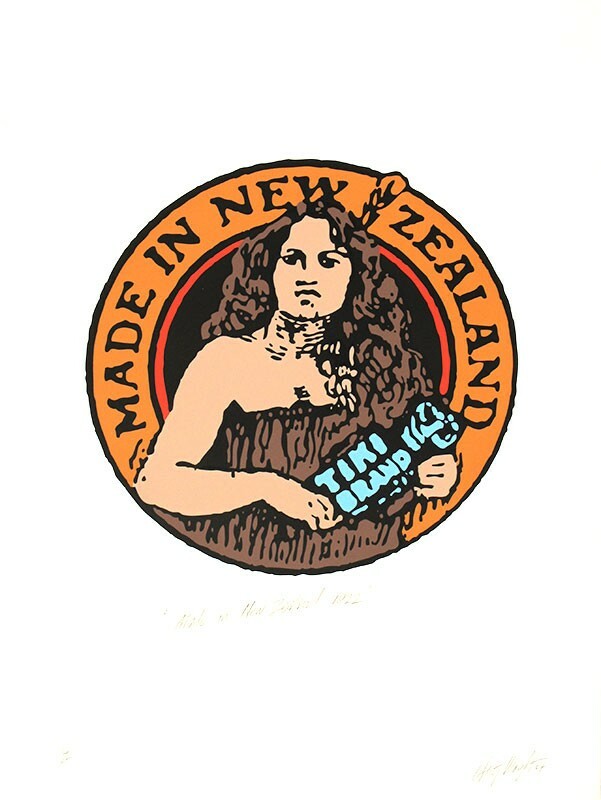 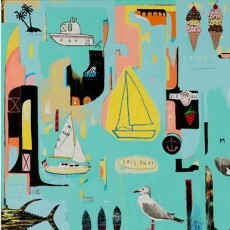 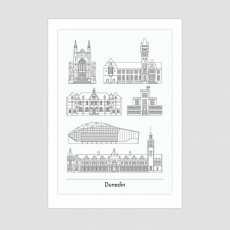 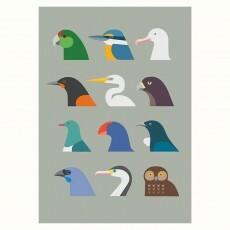 Made In New Zealand, this screenprint is the third print in the Trademark Series. 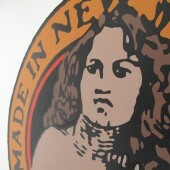 Made in N.Z. 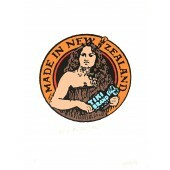 has become an important feature of the New Zealand economy with ever present threat of overseas manufacturers dominating the media and business community. Over eighty years ago N.Z. commercial trademarks featured native plants, animals and our first polynesian settlers. 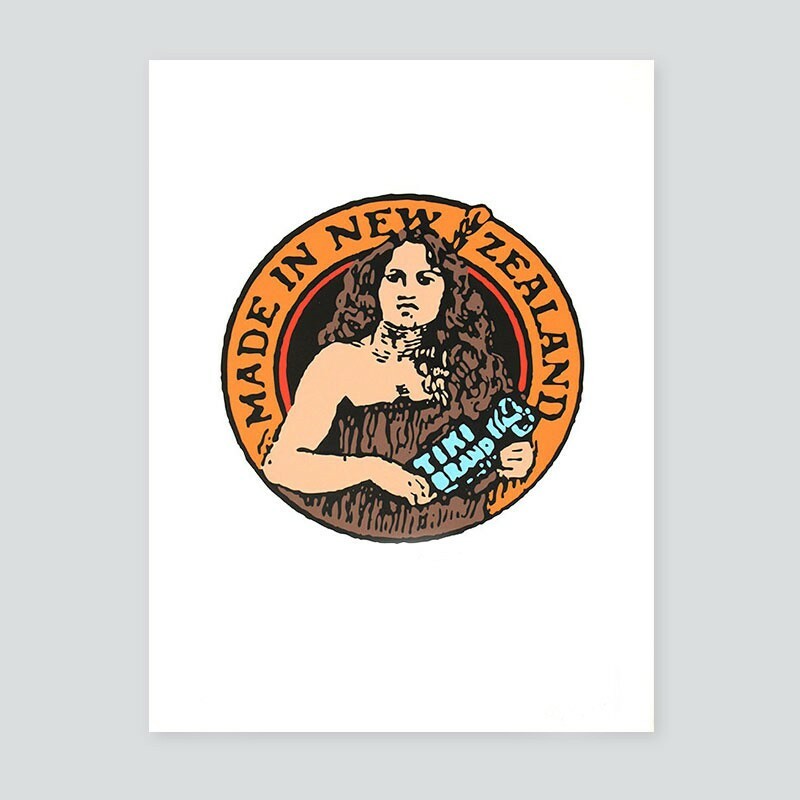 This print ‘MADE IN NEW ZEALAND’ was the trademark of TIKI BRAND CLOTHING 1922. 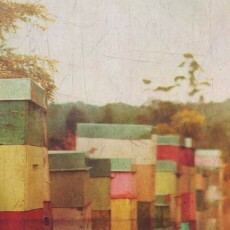 Looking at this image, we could ask ourselves, is it once again time to promote our N.Z. 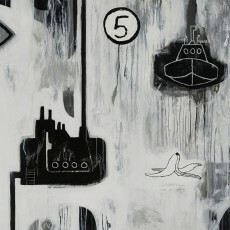 image to the world at large?